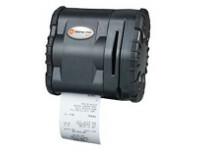 The fastest choice for rugged mobile receipt printing, the PB31 delivers a clear advantage for workers on-the-go who need to produce invoices, delivery receipts, service estimates, mobile point-of-sale receipts, inventory management schedules and sales orders. 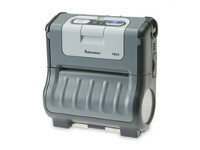 Whether it’s used as a stand-alone printer, or paired with a mobile computer, the PB31 increases operator efficiency. The printer’s large memory store reduces system latency and supports fast, high quality production of the graphically complex receipts and invoices that are common in route accounting, transportation and logistics, retail and field service applications. The PB31 printer boasts more than double the memory of competitive models, and features uniquely optimized print mechanisms, enabling it to deliver receipts and invoices 20 to 30% faster* while also easily handling complex graphics such as logos. 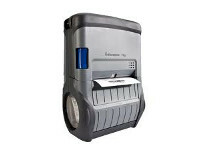 Mil-Spec levels of durability and lightweight design contribute to an overall mobile receipt printing package that delivers measurable improvements in ownership costs and worker productivity. Fast-paced work demands reliability and predictability. 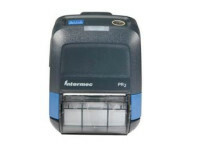 With on-board sensors that detect notch, black mark, end-of-roll, and door open status (all communicated via the intuitive LCD display) the PB31 ensures workers always know what’s going on with their printer and helps prevent them from losing transactions or wasting time troubleshooting. The printers’ comprehensive options meet a range of application needs. 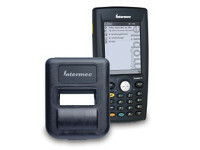 Integrated magnetic strip reader and EMV-compliant smart card reader options, drop-in media loading and adjustable media holders enable workers to easily change tasks without changing equipment. A choice of secure wired and wireless interfaces (802.11 b/g, Bluetooth, Serial, USB) allows them to select the one that fits their environment. The printers’ rugged design means performance you can depend on, day after day. Unique mechanical design elements and the largest battery capacity in their class help these printers maintain productivity in the most extreme environments. The printers have a 5 foot, 26 time drop spec (6.6 foot, multiple times with optional protective case); IP54 seal rating; and off-road vehicle-strength shock and vibration specs, minimizing repairs and downtime. When issues do arise, Intermec Medallion Complete service contracts deliver peace-of-mind and insurance against unbudgeted repair costs.